One of the greatest mistakes Europeans make when the visit the United States is that they will fly into New York City, travel a bit around the East Coast, and then hop a plane to San Francisco and travel a bit around the West Coast. Now there is nothing wrong with this: the East and West coasts have the beaches, the natural wonders, the cosmopolitan cities. But there are really two Americas: the Red and the Blue. And the Red part of America, that immense stretch of land smirked at by the coastal city dwellers as "fly-over" country, is oddly perhaps the most fun of all to visit. Any time I meet a European who has been to America, I ask them if they drove cross-country. The ones who did invariably light up and spill a tale of road-tripping in a jalopnik van in the middle of Nowhere, America, somewhat shocked at the friendliness of every single person they meet, perhaps stopping at a farmhouse in Nebraska staring at a ball of yarn 30-feet high, learning how to country line-dance and partying with girls who are in awe of someone with a foreign accent from the exotic land of "Dublin." With that in mind, I knew that I could not travel straight to Moscow without stopping off somewhere. So I chose Tomsk, a city that is a little off of the main line, known for it's young college atmosphere, parks, and wood-lace houses. There I found myself, in the middle of the night, with backpack and Mongolian guitar in hand, stepping off the Trans-Siberian railway into an empty dark station. I had bought a ticket in Irkutsk for the side-trip to Tomsk, and suddenly realized that my "lay-over" was actually about 8 hours. I examined the station: no people, no restaurant, no food cart. I walked back outside, and realized that the station was swallowed by the Siberian taiga in all directions. I was literally in the middle of Nowhere, Russia. Congratulations, I had done it. Um, now what? I made a pillow with my backpack against a staircase, and attempted to sleep. Suddenly I felt a crack on head. I popped up, bleary-eyed, in shock. It was still dark in the station. In front of me was a man in a green security or police uniform, waving a baton at me and shouting. He motioned for me to leave the station immediately. And then it hit me: I had long hair, a beard, torn clothing, a backpack and guitar, and probably smelled like platypus poop. 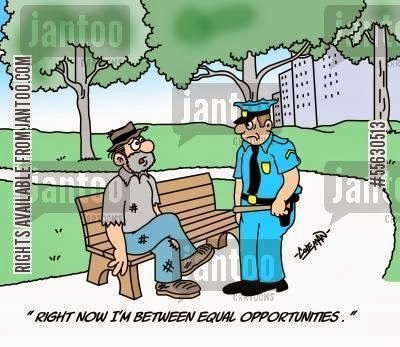 The policeman thought he had discovered a homeless bum attempting to find shelter. Which I suppose he had, to his credit. I fumbled with my passport, then showed him my onward ticket to Tomsk. He suddenly stopped shouting and waving. And then, with raised eyebrow, continued to motion for me to leave. Apparently sleeping in a station was not approved by the Russian authorities. I simply put my hands up, looked around, and gave a helpless expression. He sighed, and then pointed at his watch and then the ticket. I had another 3 hours to wait. I settled back down to sleep, and the security man left mumbling under his breath: "Stupid Imperialist homeless bum." In the morning, I awoke to a crowd of people around me. They were in line for a ticket, but my sleeping body was in the exact place where the line should form. So instead, they had quietly formed a big bend in the line to let me sleep. I couldn't believe the politeness at this act. When I stood up, they all gave me the Eastern Europe stone mask: that blank, slightly pissed-off stare that is meant to show that you should not talk or look back. Without a beat, I exclaimed loudly in English: "Don't worry everyone, I am Capitalist American and want to discover beautiful Mother Russia!" A young woman laughed. Then she translated to Russian for the rest of the crowd. And soon everyone was shaking their heads and laughing. One man helped me pick up my backpack, another grabbed my guitar, and a woman asked for my ticket to help me find my train. She looked it over and said, "Томск! благой!" "Good!" And with that, I suddenly had a crowd of friendly Russians attempting to help the capitalist pig to his destination.